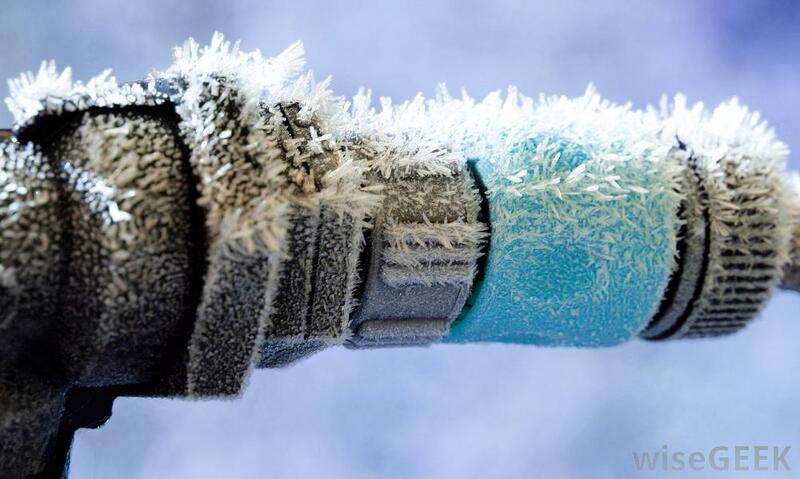 Prevent HVAC Issues Before The Cold Months… These Tips Will Save You Time & Money This Winter! Those of us in the Midwest appreciate how well heating works in the cold months. 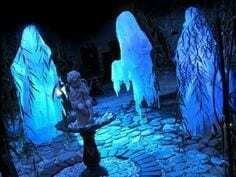 I’ve lived throughout the region, and have experienced temperatures in the teens at night in October, and hard frost in the morning. While I know to expect harsh weather in the Metro East, I want to snuggle up at home without having to pile on every single blanket I own. I count on my HVAC system to work when I need it, and I know to pay attention when things don’t appear to work correctly. Minding my HVAC system early on in the fall helps me prepare for cold nights in the winter, so I don’t have to shiver while waiting for a technician. 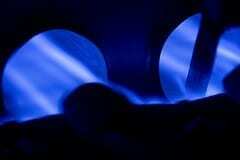 How can one avoid problems with heating in the winter? You actually have to begin your plan early in the year, probably when you are not using your heating and air as much. This is where it gets tricky, because if you’re less likely to run your air conditioner or furnace, you probably won’t think much of it. Therefore, you may neglect regular inspections and checking the filters to see if they need to be replaced. If you do neglect seasonal maintenance, you run the risk of problems in the future. Clogged filters won’t put out the heat you need, and you may automatically reach for the thermostat to crank up the temperature. In turn, your HVAC system probably works harder than it has to, and you end up paying more when the utility bills come in. 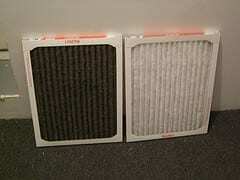 A clogged filter can also circulate more allergens around your home, increasing the risk of illness more often. There is a solution that definitely won’t cost you so much money – check up on your filters every month or so and replace accordingly. Keep the air circulating clearly throughout the house and make sure nothing is blocked against your vents. Let the passage of air come through and warm up your home. Tiger Heating & Air Conditioning even offers lifetime warranty washable filters and electronic air cleaners that are much more effective than standard paper filters. Another problem with high utility bills you might experience could come from heating rooms that aren’t in use. If you spend more time in your bedroom or living room, there may not be a reason to heat guest rooms if nobody is staying over. Before winter hits, consider looking into upgrading your system so that you can control which rooms get more heat, and which ones are set at a comfortable level, in case you have guests over around the holidays. You can avoid problems with heating and air in the winter by having the professionals at Tiger inspect your ducts and units before the cold comes along. Preventative actions taken in the fall can help you stay cozy and warm through the holidays. Now is the best time to get your HVAC system professionally checked by Tiger Heating & Air Conditioning technicians. You can schedule an appointment today by visiting www.TrustTiger.com or by calling 1-866-TIGER70. Is Your House Haunted? 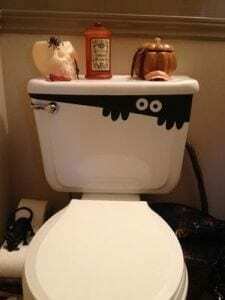 The Ghostly Trio of Plumbing… Number 2 Is The Scariest! Eek! Are you hearing noises in your plumbing system? More than likely your house is not haunted. There are a number of noises that can occur in your home’s plumbing, some serious and some not so much. This article will look at some common noises and their likely causes. Noises in your plumbing system can be scary. Not because you think your home is haunted, but because most people are as afraid of their local plumber as they are of their dentist. It is unfortunate that plumbers have this nasty reputation because there really are a lot of great plumbing technicians at Tiger and at some point your plumbing system is going to make noises. Some of these are potentially serious issues and some are not really a big deal. But before you can know the potential impact of whatever is causing the noises, you have to identify just what is causing the noise in the first place. Let’s take a look at the “Ghostly Trio,” three of the most common noises – hissing, rattling, screeching – and the cause of each. Keep in mind that not every noise is caused by the same problem and a plumbing failure can wreak havoc on a home. So using professional plumbers, such as those at Tiger Plumbing, is always recommended. A hissing sound is one of the more common noises one might encounter in their home. This will happen sometimes when you turn on a faucet. The cause of this noise is usually a water pressure that is too high. The solution is to install a valve that will reduce the water pressure and get rid of this noise. This shaking and rattling sound which takes place when shutting off a faucet is often caused by waves of water pressure and is a problem that occurs more in older homes than newer ones. This sound can also happen when water rapidly enters a pipe that doesn’t flow freely, possibly due to a change in direction in the piping such as an elbow connection or a “T” joint. In cases where the cause is water pressure waves, air chambers and shock absorption fittings are usually a fix. 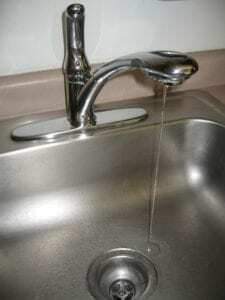 Another problem that you might experience is a sharp screech as you open a faucet. The screech is brief and will often stop as soon as the faucet is completely open. In this case, the usual suspect is not a black cat, but a bad part in the faucet. You can attempt to rebuild the faucet but a replacement is often a better solution, especially if you are paying to have this done. Components inside a faucet can be expensive, so it is probably cheaper to replace than to pay to have your current faucet repaired. Plus, wouldn’t a new faucet just look nicer anyway? There are many sounds that can be emitted from your plumbing system. These are three common ones but there are many more, and depending on where the noise is coming from, and the type of noise, they can signal a major problem or a simple repair. 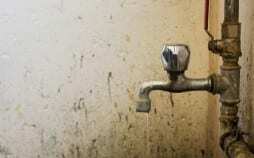 If you are not sure of what the cause is, consult with the professionals at Tiger Plumbing. You don’t want to take a chance with your plumbing, since the impact of a busted pipe in your home, and the resulting cleanup effort, can be significant. 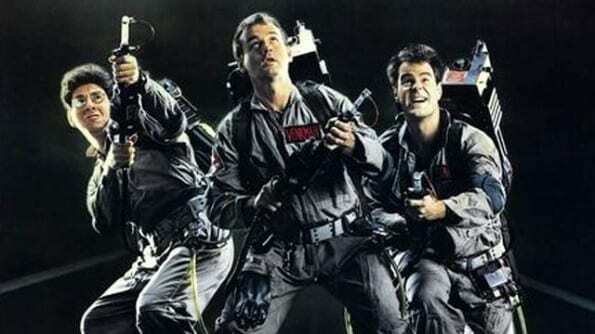 If you hear any of the “Ghostly Trio” making noises in your house, call Tiger today at 1-866-TIGER70 or visit TrustTiger.com to schedule an appointment, and let us evaluate your plumbing system to see if it is a plumbing problem, or if we need to, refer you to the Ghostbusters! 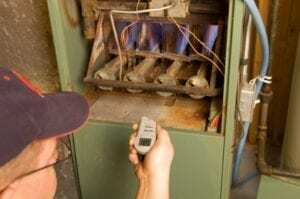 A Pre-Season Furnace Tune-Up Optimizes Your System and Saves You Money! Fall is the best time for a furnace tune-up. Systems will operate more efficiently and minor problems can be detected before they become expensive repairs. The burning smell that invades homes every year when consumers first turn on their furnace is an accumulation of dirt and dust on the furnace heat-exchanger. A simple checkup will verify that your furnace is operating safely, and will remove the dust and dirt that has accumulated allowing your family to breathe cleaner air. A clean system also operates more efficiently and saves you money on your utility bills. In addition to a preseason checkup, changing your filters every month will keep your system operating at maximum efficiency. According to the National Fire Protection Association, 14% of all home fires are caused by faulty heating equipment (second highest after cooking). A checkup of the heating system can safeguard against unnecessary threats, and bring peace of mind. Electric heating systems should also be serviced to prevent equipment failure and reduce the threat of fire. Consumers with all-electric homes not utilizing a heat pump who find that their electricity bill runs higher in the winter might consider a Tiger Signature Series heat pump system for their home. A heat pump removes the heat from the outside air and releases it into the home instead of relying on old-fashioned resistance heat strips to heat the air inside the home. A heat pump can be up to three times more efficient with potential energy savings of 66%! Inspecting furnace for performance problems. During a tune-up, your technician will run your furnace through the entire heating cycle and check for any performance problems. This helps identify whether or not your system requires any repairs. Test airflow. Proper airflow is crucial to heating your home properly. That’s why we check your blower, ductwork and other components to ensure your system’s airflow is up to par. Cleaning system components. Dirt buildup is one of the leading causes of furnace breakdowns. During your tune-up, we’ll clean all of the essential parts of your furnace in order to avoid future problems. Tighten connections and lubricate moving parts. 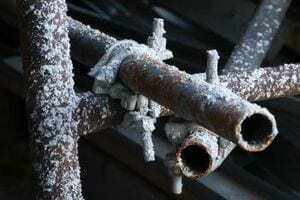 Your furnace worked hard last heating season, during which some electrical connections might have loosened up. That’s why we tighten up those connections during your tune-up in addition to lubricating moving parts so that your system runs smoothly. Check for carbon monoxide leaks. Carbon monoxide (CO) is produced as a byproduct of the heating process. When your system is running correctly, that carbon monoxide is exhausted out of your home. However, heat exchanger cracks and problems with your chimney or flue can allow CO gas to build up in your home. This can be extremely dangerous, which is why checking for carbon monoxide leaks is one of the most important parts of a furnace tune-up. 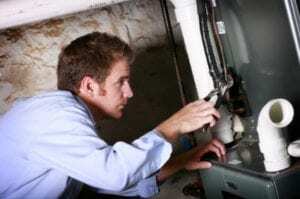 Now is the best time to get heating systems professionally checked by visiting www.TrustTiger.com or scheduling an appointment today for a furnace tune-up by calling 1-866-TIGER70. As a homeowner, you probably give a great deal of attention to how well your furnace and air conditioner operate and keep each room of your home comfortable. But heating and cooling systems do more than raise and lower room temperature; they can also regulate or impact the quality of the air we breathe. 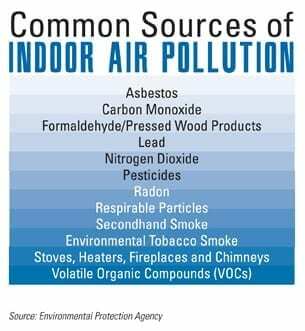 Indoor air quality affects our comfort and our health. 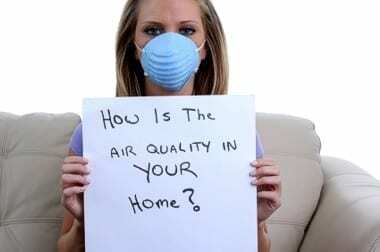 According to the Environmental Protection Agency (EPA), indoor pollution sources that release gases or microscopic particles into the air are the primary causes of indoor air quality problems in homes. Poor ventilation could increase indoor pollutant levels by not bringing in enough outdoor air to reduce emissions from indoor sources and by not carrying indoor air pollutants out of the home. High temperature and humidity levels could also increase concentrations of some pollutants. 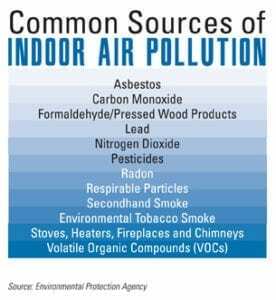 There are many sources of indoor air pollution in homes. These include combustion sources such as oil, gas, kerosene, coal, wood, and tobacco products, all of which could produce carbon monoxide and other invisible and potentially deadly gases. Carpets, household cleaning products, insulation, and building materials can produce high levels of toxins. Dust, mold, and allergens can easily and invisibly accumulate and spread through the air and throughout your home. Even outdoor sources such as radon and pesticides could potentially get in your home. Sometimes the effects of indoor air quality take time to show up. Initial symptoms could include unexplained headaches, dizziness, fatigue, and irritation of eyes, nose and throat. Carbon monoxide poisoning can be debilitating or fatal. Have you changed the batteries in your detector or tested it recently? 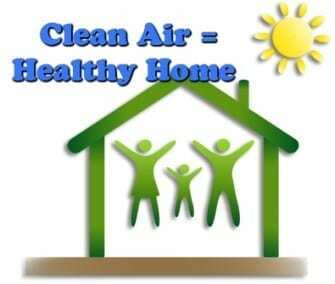 Fortunately, homeowners have many options to ensure that the air quality of their homes is healthy and pollutant-free. Source Control: Eliminate individual sources including smoking, wood or coal burning stoves. Keep cleaning products outside and remove harmful asbestos and insulation products. Ventilation Improvements: Open your windows and doors. Run the bathroom or kitchen exhaust fans. Operate window or attic fans when weather permits. Air Cleaners and Filters: There are many add-ons and modifications to your heating and air conditioning system that can be used to filter out contaminants and improve air quality. Changing your filter according to your system’s recommended maintenance schedule can keep your home allergy and pollution-free and can keep your heating and cooling system in fine working order for just a few dollars a year. On the higher end, there are some outstanding filtration systems that can remove up to 98% of all household contaminants. If you have an older model heating or air conditioning system, chances are that the quality of the air you and your family are breathing is not as good as it could be. After about 10 years of operation, many heaters and air conditioners can turn into breeding grounds for germs, allergens, and mold. Air conditioners and heaters manufactured before the year 2000 produce far more pollutants than today’s cleaner, more efficient models. Today’s heating and air conditioning systems also include advanced temperature and humidity controls and filtration systems to maintain ideal conditions and remove airborne contaminants. If you’re concerned about the quality of air in your home, contact Tiger Heating and Air Conditioning. Our comfort advisors can perform a FREE In-Home Energy and Comfort Analysis to assess your indoor air quality and determine if your existing heating and cooling system poses any health risks. They can also work with you to design a heating and air conditioning solution that can deliver maximum comfort and optimal air quality. Call Tiger Heating & Air Conditioning Services at 1-866-TIGER70 or visit TrustTiger.com to schedule an In-Home Energy and Comfort Analysis Today!